Island Hills Chorus is an Award-winning active, invigorating organization of female singers, meeting regularly to rehearse, harmonize, develop, perform, perfect, socialize, sing, and just have fun! We currently have over 50 singers of all ages,from all walks of life, and from all parts of the Long Island - from Queens to Riverhead! Island Hills Chorus LOVES to sing! We opened for the New York City Rockettes at Radio City Music Hall, sang at Madison Square Garden, were honored by the Suffolk County Legislature (where we performed), and were featured at Long Island Ducks Stadium. We represented New York State at the Centennial Cherry Blossom Festival where we performed on the steps of the Lincoln Memorial in Washington DC, and were invited to audition for America's Got Talent! If you like to sing and have GREAT FUN doing it - come and join us!!! In addition to sharing our music, we are passionate about learning and practicing the art of a capella singing. Vocal instruction is a regular part of chorus rehearsals and a very important component of the chorus experience. In addition to instruction by our multi-talented director, we have the good fortune to have specialized coaching in areas such as vocal production, expression, and choreography from visiting masters in the art of barbershop. We love learning more about our art! Each spring, Island Hills Chorus participates in the Region 15 chorus competition in Albany, NY. We medaled at the 2018 Competition! These competitions are a special time for quartets and choruses from our region to come together to sing for each other and get some constructive feedback from a panel of judges. The winners of the regional competition in both quartet and chorus categories get to travel to an International Competition, which is held in the fall in a different city, selected each year. In 2019, the International Competition will be held in New Orleans, Louisiana. Island Hills Chorus has been home to a number of wonderful quartets, and we are very proud of them! We are in the process of organizing new quartets and octet. Opportunities for all. Click here to learn more. 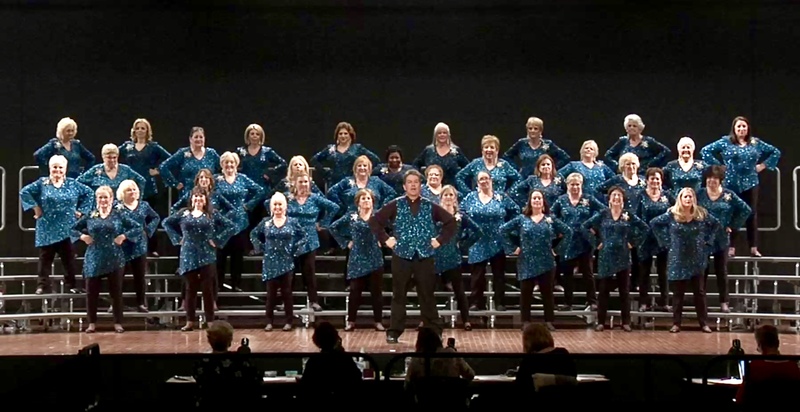 Island Hills Chorus is a chapter of Sweet Adelines International, a non-profit organization of approximately 25,000 members in choruses and quartets worldwide. The organization's Headquarters is in Tulsa, Oklahoma.